On 3 October 2014, Canadian Prime Minister Stephen Harper announced that he would put forth a motion to send Canadian forces to participate in the coalition for military intervention against ISIL by deploying combat aircraft. On 7 October 2014, the Canadian Parliament approved of sending nine Canadian aircraft to join coalition airstrikes against ISIL in Iraq along with 69 special forces advisors to train the Iraqi government's military. The Canadian Armed Forces’ contribution to the coalition against ISIL was later dubbed Operation Impact. On 30 March 2015, the Canadian Parliament voted to extend the mission to targets in Syria. No additional forces were announced. In late November 2015, new Prime Minister Justin Trudeau announced the withdrawal of Canada’s fighter aircraft from the fight against ISIL, but their surveillance and transport and refueling aircraft would remain in the area. All airstrikes by the Canadian fighter aircraft ended as of 15 February 2016. As part of the Canadian reorganization of the operation in February 2016, it was announced the number of military trainers would triple to a total of 600 ground personnel. This force was later augmented in mid-May 2016 by three Bell CH-146 Griffon helicopters. On 3 October 2014, Canadian Prime Minister Stephen Harper announced a motion in the House of Commons that it was Canada's intent to send six CF-18 fighter jets and support aircraft for up to six months to attack ISIL in Iraq as part of the coalition to defeat ISIL. "In the territory ISIL has occupied, it has conducted a campaign of unspeakable atrocities against the most innocent of people”, also ISIL “has specifically targeted Canada and Canadians", Harper said. On 30 March 2015, the Canadian Parliament voted to extend the mission to targets in Syria. No additional forces were announced. It was suggested that airstrikes into Syria could begin within a couple of days of the vote. Canadian airstrike operations in Syria began 8 April 2015. Two CF-18s attacked an ISIL garrison near Raqqa. The Canadian jets were joined by six US aircraft in the strike. Prior to the attack, Canadian aircraft had performed three sorties into Syrian airspace. On 20 May 2015, two Canadian jets bombed an ISIL staging area north of Ar-Raqqa. In June 2015, CF-18s attacked near Al-Hasakah in eastern Syria. In total, the Canadian jets performed five airstrikes in Syria. On 20 October 2015, then Prime Minister designate Justin Trudeau announced the impending withdrawal of Canadian air forces from the anti-ISIL mission in Iraq and Syria while keeping its ground forces in Iraq and Syria, and informed US President Barack Obama about it. In late November 2015, new Prime Minister Justin Trudeau announced the withdrawal of Canada’s fighter aircraft from the fight against ISIL, but their surveillance and transport and refueling aircraft would remain in the area. All airstrikes by the Canadian fighter aircraft have ended as of 15 February 2016. As of 12 March 2016, Canadian Polaris aircraft have performed 399 sorties. In total, they delivered roughly 23,500,000 lb (10,700,000 kg) of fuel to allies. The Aurora aircraft have performed 428 reconnaissance missions. On 16–17 December, Canadian ground forces came under attack from ISIL ground units while training Peshmerga fighters north of Irbil. On 17 December, the Canadian troops supported the Peshmerga in its counterattack against ISIL. As of 8 September 2016 there were 596 Canadian personnel deployed in the mission, operating in four countries of which just over a quarter were taking part in special forces operations. Canadian troops were deploying to the front-line of battle more often and had exchanged fire with ISIS on multiple occasions. Canadian soldiers have opened fire without warning on ISIL targets "when the Peshmerga cannot respond." As of 15 November 2016, the Canadian government has spent CAN$3.5 million on the creation of a semi-permanent military camp at Irbil. The camp has housed several units of the Canadian ground operation. Construction began in June 2016. In the initial announcement of the decision, the special forces troops were not to be used for combat operations, instead be deployed in a primarily training mission. However, after the announcement that the troops had seen combat, opposition defence critic, Jack Harris stated to the media that "if we're engaged in firefights because we’re subject to machine-gun fire, that’s not what Canadians were told." The Prime Minister's Office argued that highlighting targets for airstrikes does not equal combat operations. Rouleau was fatally wounded by constables of Québec's Provincial Police, the Sûreté du Québec, after a car chase. Rouleau appeared to have acted of his own accord as a 'lone rat' (that is, consistent with and in furtherance of known ISIL political views but without provable direct and overt conspiracy with ISIL). On 22 October 2014, Michael Zehaf-Bibeau shot Argyll and Sutherland Highlanders of Canada reservist Corporal Nathan Cirillo as Cirillo stood Honour Guard at the National War Memorial. After shooting Cirillo, Bibeau advanced towards the Parliament buildings, where caucus meetings of the main political parties were being conducted. He shot a guard in the leg and was chased down the Hall of Honour past rooms were Members of Parliament (MPs) were meeting. The MPs barricaded the doors as a violent gunfight ensued. Bibeau was shot dead by House of Commons of Canada Sergeant-at-Arms Kevin Vickers in the Hall of Honour of the Centre Block. ↑ "Canada launches first airstrikes on ISIS targets in northern Iraq". CTV News. Retrieved 4 November 2014. ↑ Brewster, Murray (2 November 2014). "Canadian warplanes launch first airstrike in Iraq". Toronto Star. Retrieved 4 November 2014. ↑ "First Canadian airstrikes in Iraq". Castanet.net. The Canadian Press. Retrieved 4 November 2014. 1 2 Campion-Smith, Bruce (19 January 2015). "Canadian soldiers get into firefight in Iraq". Toronto Star. Retrieved 20 January 2015. 1 2 3 4 Chase, Steven (19 January 2015). "Mission creep concerns raised in Canadian fight against Islamic State". Globe and Mail. Retrieved 20 January 2015. ↑ Engel, Pamela (23 April 2015). "Report: A former physics teacher favored by Osama bin Laden is now leading ISIS". Business Insider. Retrieved 29 April 2015. ↑ "Operation Inherent Resolve - Canada". Operation Inherent Resolve. Operation Inherent Resolve. Retrieved 21 June 2016. ↑ AirForces Monthly. Stamford, Lincolnshire, England: Key Publishing Ltd. December 2014. p. 35. ↑ "Canadian Armed Forces expands contribution to Global Coalition to defeat ISIL". Government of Canada. National Defence / Canadian Armed Forces. May 19, 2016. Retrieved June 21, 2016. ↑ "Operation IMPACT". National Defence and the Canadian Armed Forces. Retrieved 22 October 2014. 1 2 3 "Harper announces plan to send CF-18s to bomb ISIS in Iraq". National Post. 3 October 2014. Retrieved 31 March 2016. 1 2 3 "ISIS mission: MPs approve Canada's air combat role". CBC News. 8 October 2014. Retrieved 4 November 2014. 1 2 3 4 Cudmore, James (16 November 2015). "There are signs Canadian commandos are battling ISIS in northern Iraq". Retrieved 16 November 2015. ↑ "Operation Impact". 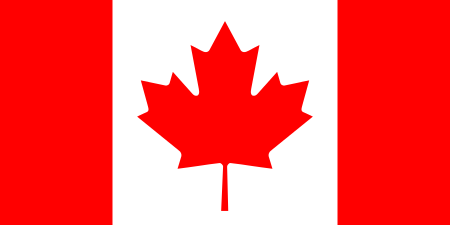 Canadian National Defence and Canadian Armed Forces. Retrieved 30 March 2016. 1 2 3 "ISIS mission: MPs pass motion to support extension". CBC News. 30 March 2015. Retrieved 30 March 2015. 1 2 3 4 Barton, Rosemary (26 November 2015). "Justin Trudeau to pull fighter jets, keep other military planes in ISIS fight". CBC News. Retrieved 27 November 2015. 1 2 "Canadian Armed Forces cease airstrike operations in Iraq and Syria". Government of Canada. 17 February 2016. 1 2 Mas, Susana (8 February 2016). "Canada to cease ISIS airstrikes by Feb. 22, triple training forces Justin Trudeau says". CBC News. Retrieved 8 February 2016. ↑ Pugliese, David (31 May 2016). "Canadian special forces under fire in Iraq battle, try to save life of wounded Kurdish general". National Post. Retrieved 1 June 2016. ↑ Brewster, Murray (20 July 2016). "Canada to take part in Iraqi city of Mosul's liberation from ISIS with field hospital". CBC News. Retrieved 20 July 2016. ↑ "ISIS mission: Canadian CF-18s drop laser-guided bombs over Iraq". CBC News. 2 November 2014. Retrieved 4 November 2014. 1 2 "ISIS weapons hit by CF-18 jets in northern Iraq, DND says". CBC News. 11 November 2014. Retrieved 25 November 2014. ↑ Pugliese, David (18 November 2014). "Four CF-18s take part in attack on suspected ISIL bomb factory". Defence Watch. Ottawa Citizen. Retrieved 2 December 2014. ↑ Pugliese, David (19 November 2014). "CF-18s attack ISIL ground positions near Kirkuk, Iraq". Defence Watch. Ottawa Citizen. Retrieved 2 December 2014. ↑ Pugliese, David (27 November 2014). "RCAF CF-18s have little to do in Iraq war – is Canada's air campaign worth the expense?". Defence Watch. Ottawa Citizen. Retrieved 2 December 2014. ↑ Pugliese, David (2 December 2014). "CF-18s bomb ISIL positions outside Mosul as well as near the city of Hit". Defence Watch. Ottawa Citizen. Retrieved 4 December 2014. ↑ Roberts, Hal (4 December 2014). "Canadian fighters bomb more Islamic State positions in Iraq". Ottawa Sun. Retrieved 10 December 2014. ↑ Pugliese, David (9 December 2014). "CF-18s hit machine gun emplacement and bunkers but ISIL holds on to its territory". Defence Watch. Ottawa Citizen. Retrieved 10 December 2014. ↑ Pugliese, David (11 December 2014). "Two CF-18s attack ISIL target in Iraq and destroy a bunker". Defence Watch. Ottawa Citizen. Retrieved 11 December 2014. ↑ "Operation IMPACT – Air Task Force-Iraq airstrikes". National Defence and the Canadian Armed Forces. 18 December 2014. Retrieved 24 December 2014. ↑ Pugliese, David (1 January 2015). "CF-18s attack ISIL positions west of Fallujah". Defence Watch. Ottawa Citizen. Retrieved 3 January 2015. ↑ Pugliese, David (3 January 2015). "CF-18s attack more targets in Iraq". Defence Watch. Ottawa Citizen. Retrieved 3 January 2015. ↑ Pugliese, David (13 January 2015). "Update on RCAF bombing raids against targets in Iraq". Defence Watch. Ottawa Citizen. Retrieved 14 January 2015. ↑ Brewster, Murray (15 January 2015). "Canadian jets hammer targets as ISIL launches offensive in two Iraqi provinces". Winnipeg Free Press. Retrieved 20 January 2015. ↑ Sawa, Timothy; Fortune, Lynette; Bdiwe, Ghalia (3 September 2015). "Up to 27 Iraqi civilians may have been killed in Canadian airstrike, Pentagon document reveals". CBC News. Retrieved 3 September 2015. ↑ Pugliese, David (26 January 2015). "Update on CF-18 attacks on ISIL positions". Defence Watch. Ottawa Citizen. Retrieved 26 January 2015. ↑ Pugliese, David (2 February 2015). "ISIL mortar, two fighting positions and two vehicles bombed by CF-18s". Defence Watch. Ottawa Citizen. Retrieved 3 February 2015. ↑ Pugliese, David (5 February 2015). "SIL compound and IED factory bombed by CF-18s". Defence Watch. Ottawa Citizen. Retrieved 5 February 2015. ↑ Pugliese, David (10 February 2015). "CF-18 fighter jets bomb three more targets in Iraq". Defence Watch. Ottawa Citizen. Retrieved 12 February 2015. 1 2 "Canadians trade fire with ISIS as military waits on possible extension". CBC News. 12 February 2015. Retrieved 12 February 2015. ↑ Pugliese, David (28 February 2015). "CF-18s hit targets north of Mosul". Defence Watch. Ottawa Citizen. Retrieved 28 February 2015. ↑ Pugliese, David (10 March 2015). "Canadian fighters strike at Iraq targets, U.S. general worries about Iraqi governance". Defence Watch. Ottawa Citizen. Retrieved 12 March 2015. 1 2 "ISIS mission: Jason Kenney says extending Iraq mandate won't add troops". CBC News. 12 March 2015. Retrieved 12 March 2015. ↑ "Canadian CF-18s bomb ISIS targets as military mum on probes into friendly fire death". National Post. Canadian Press. 20 March 2015. Retrieved 20 March 2015. ↑ Pugliese, David (5 April 2015). "IED factory in Iraq bombed by CF-18s". Defence Watch. Ottawa Citizen. Retrieved 7 April 2015. ↑ Pugliese, David (10 April 2015). "CF-18s conduct airstrike near Sinjar, Iraq". Defence Watch. Ottawa Citizen. Retrieved 16 April 2015. ↑ Pugliese, David (28 April 2015). "More ISIL targets hit by CF-18s". Defence Watch. Ottawa Citizen. Retrieved 29 April 2015. ↑ Pugliese, David (11 May 2015). "CF-18s hit new targets in Iraq". Defence Watch. Ottawa Citizen. Retrieved 12 May 2015. ↑ Pugliese, David (31 May 2015). "Iraqi troops abandoned thousands of vehicles in retreat; CF-18s bomb new targets". Defence Watch. Ottawa Citizen. Retrieved 3 June 2015. ↑ Pugliese, David (8 June 2015). "CF-18s attack Islamic State position on the weekend, Britain to send more military trainers to Iraq". Defence Watch. Ottawa Citizen. Retrieved 11 June 2015. 1 2 3 4 Brewster, Murray (2 October 2015). "Fewer Canadian bombs dropping on Iraq, Syria since election call: statistics". 680 News. Canadian Press. Retrieved 11 October 2015. ↑ MacCharles, Tonda (9 July 2015). "Canada intensifies air campaign in Iraq". Toronto Star. Retrieved 19 July 2015. ↑ Berthiaume, Lee (7 October 2015). "Canada has attacked inside Syria four times since March". Ottawa Citizen. Retrieved 11 October 2015. ↑ Chase, Steven (12 November 2015). "Canadian jets continue to bomb Islamic State after Trudeau win". Globe and Mail. Retrieved 30 March 2016. ↑ Pugliese, David (11 December 2015). "Canadian CF-18s supporting Iraqi efforts to retake Ramadi". Ottawa Citizen. Retrieved 4 January 2015. ↑ Brewster, Murray (17 December 2015). "Canadian Warplanes Help Blunt Major ISIL Offensive". The Huffington Post Canada. Canadian Press. Retrieved 4 January 2016. ↑ Sevunts, Levon (21 December 2015). "Canadian CF-18 did not bomb Iraqi soldiers: DND". Radio Canada International. Retrieved 4 January 2015. ↑ "Canadian fighter jets strike ISIS targets in Iraq". The Canadian Press. 2 January 2015. Retrieved 4 January 2015. ↑ Pugliese, David (6 January 2016). "RCAF CF-18s drop 32 smart bombs over 30-day period". Ottawa Citizen. Retrieved 18 January 2016. ↑ Pugliese, David (15 January 2016). "CF-18s attack ISIL target northeast of Tikrit". Ottawa Citizen. Retrieved 18 January 2016. ↑ Pugliese, David (2 February 2016). "Update – CF-18 airstrikes on Islamic State". Ottawa Citizen. Retrieved 11 February 2016. ↑ Pugliese, David (15 February 2016). "Iraq war update: CF-18s bomb Islamic State fighting position on the weekend". Ottawa Citizen. Retrieved 24 February 2016. 1 2 Air Task Force - Iraq Public Affairs (5 March 2016). "Air Task Force – Iraq transitions its support to Coalition operations during Operation Impact". National Defence and the Canadian Armed Forces. Archived from the original on 15 March 2016. Retrieved 15 March 2016. ↑ "ISIS mission: Canada conducts 1st airstrike in Syria". CBC News. 8 April 2015. Retrieved 8 April 2015. ↑ Pugliese, David (21 May 2015). "RCAF drops bombs in Syria, Iraq turns to Russia for military help in fighting Islamic State". Defence Watch. Ottawa Citizen. Retrieved 22 May 2015. ↑ Pugliese, David (12 June 2015). "RCAF not co-ordinating airstrikes with Syrian military, says general". Defence Watch. Ottawa Citizen. Retrieved 16 June 2015. 1 2 Berthiaume, Lee (20 October 2015). "Justin Trudeau says he told Obama he will pull out of air war against ISIL. And Obama's OK with it". National Post. Retrieved 20 October 2015. 1 2 "Canada to withdraw fighter jets from Syria and Iraq strikes". BBC News. 20 October 2015. Retrieved 20 October 2015. ↑ "Operation Impact". National Defence and the Canadian Armed Forces. 14 March 2016. Archived from the original on 15 March 2016. Retrieved 15 March 2016. 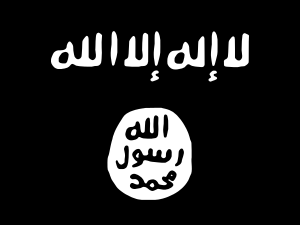 ↑ "ISIS: Text of government's motion on Canada's mission". CBC News. 3 October 2014. Retrieved 30 March 2016. ↑ "Canadian forces strike back against ISIS offensive in northern Iraq". CBC News. Canadian Press. 17 December 2015. Retrieved 19 December 2015. ↑ Payton, Laura (19 January 2015). "ISIS fight: Canadian special forces returned fire last week". CBC News. Retrieved 20 January 2015. ↑ Mas, Susan (26 January 2015). "ISIS fight: Canadian special forces returned fire 2 more times". CBC News. Retrieved 26 January 2015. ↑ "Andrew Joseph Doiron of Moncton, N.B., killed in Iraq". CBC News. 7 March 2015. Retrieved 7 March 2015. ↑ Pugliese, David (6 October 2016). "Petawawa-based helicopter squadron leaves Iraq – replacements now in from Valcartier unit". Ottawa Citizen. Retrieved 14 October 2016. 1 2 3 Brewster, Murray (14 November 2016). "Canadian special forces shooting first at ISIS to protect civilians, allies". Retrieved 16 November 2016. 1 2 Brewster, Murray (6 October 2016). "Canadian troops spending more time at front lines in Iraq as future of mission is unclear". CBC News. Retrieved 11 October 2016. ↑ Bertiaume, Lee (16 February 2015). "Canada's war against ISIS has cost $122 million, not including salaries and fixed costs, government says". National Post. Retrieved 28 February 2015. 1 2 Lang, Kieron (17 February 2015). "PBO, government differ on anti-ISIS mission costs: $122M vs. $166M". CTV News. Retrieved 28 February 2015. 1 2 "Iraq mission costs could top $166M for 6 months: budget watchdog". CBC News. 17 February 2015. Retrieved 28 February 2015. ↑ Brewster, Murray (1 April 2015). "Cost of Canada's mission in Iraq, Syria will hit $528 million in coming year". Toronto Star. Canadian Press. Retrieved 2 April 2015. ↑ "Conservatives urge government to rethink halt to ISIS airstrikes". CBC News. 14 November 2015. Retrieved 27 November 2015. ↑ "End all Canadian Military Interventions in Iraq and Syria!". Communist Party of Canada. Retrieved 20 March 2016. ↑ "Hands Off Iraq and Syria! No to the Use of Force to Settle Conflicts!". Marxist-Leninist Party of Canada. Retrieved 20 March 2016. ↑ "Oppose Imperialist Barbarism! Canada Out of the Middle East!". Revolutionary Communist Party of Canada. Retrieved 20 March 2016. ↑ Ogrodnik, Irene (22 September 2014). "New ISIS audio recording urges attacks on Canada, other countries". Global News. Retrieved 4 November 2014. ↑ MacCharles, Tonda; Woods, Allan (21 October 2014). "Quebec attacker gave no hint of deadly plan, say RCMP, family, friends". Toronto Star. Retrieved 4 November 2014. ↑ Bell, Stewart (21 October 2014). "Martin 'Ahmad' Rouleau killed after high-speed chase - National Post". National Post. Retrieved 4 November 2014. ↑ "Canada probes Michael Zehaf-Bibeau as possible suspect in Ottawa shooting: source". Reuters. 22 October 2014. Retrieved 4 November 2014. ↑ "Ottawa shooting: Kevin Vickers hailed as hero who helped stop attacker". CBC News. 23 October 2014. Retrieved 4 November 2014. ↑ "Ottawa Shooting: Soldier Killed At National War Memorial, Parliament On Lockdown". The Huffington Post. 22 October 2014. Retrieved 4 November 2014. ↑ Chase, Steven (23 October 2014). "Prime Minister labels shootings as 'terrorist' acts". The Globe and Mail. Retrieved 4 November 2014. ↑ Arsenault, Adrinenne; Baksh, Nazim (3 February 2015). "Terrorism-related charges laid against Ottawa men with alleged ISIS ties". CBC News. Retrieved 4 February 2015. ↑ Janus, Andrea (3 January 2015). "Terror charges laid against three men:RCMP". CTV News. Retrieved 4 January 2015.